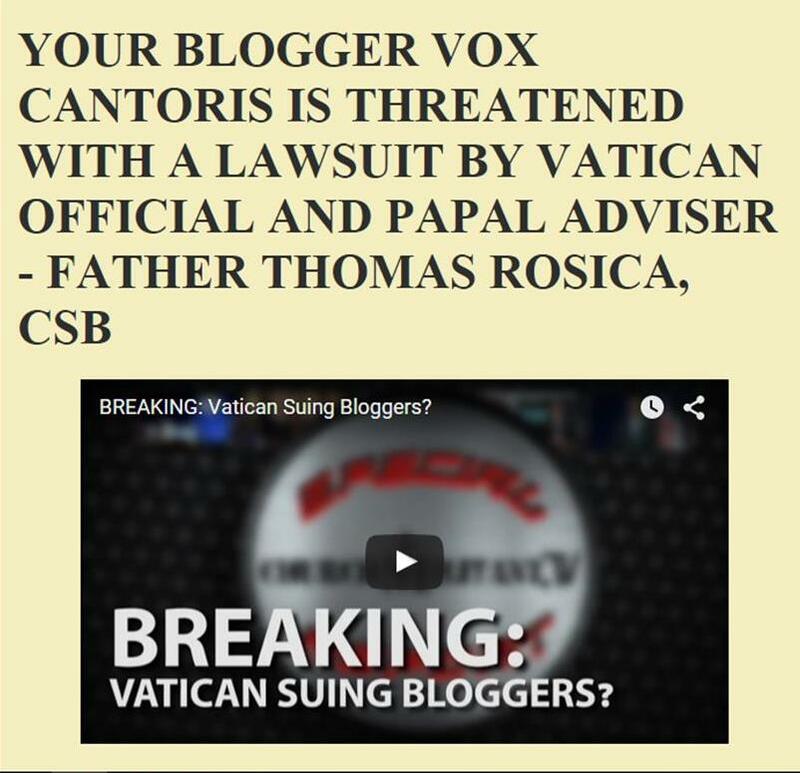 Vox Cantoris: "Bi"-cycling, Bergoglio Bishop! (Rome) The new Archbishop of Palermo, recently appointed by Pope Francis, Msgr. Corrado Lorefice, swung himself in a bicycle and drove through the presbyterium of his Cathedral. "Sometimes I ask myself whether certain prelates do not invent these surprises from a mere desire to see if they come into the media and land especially on certain blogs, for example, ours ..." according to the traditional website Messa in Latino. This is so wrong and idiotic one can hardly find words. And these men are our shepherds? Shocking display. Just shows the lack of belief they have in the Blessed Sacrament. The sooner they are expelled from the CC the better. Bishops & Cardinals think they are above the law & can do what they like. It's an obscenity & profanes the presence of Christ in the tabernacle. Many words come to mind, pathetic is one of them! The fact that Archbishop Lorefice is a "Bergoglio Bishop" doesn't mean anything. After all, it was Pope Pius XI and Pope Venerable Pius XII bishops who gave us Vatican II and the Vatican II Era bishops. That doesn't mean that Popes Pius XI and Venerable Pius XII were responsible for any ridiculous actions associated with the bishops whom they had promoted. What Archbishop Lorefice did was on him. 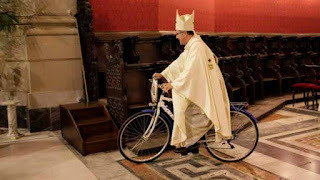 His Holiness Pope Francis did not order Archbishop Lorefice to pedal about on a bicycle. Pope Francis offered to the large audience (and to us) today in Rome the following vital message: Go to Confession. Pope Francis exhorted us to reconcile to God. Pope Francis promoted Confession today in major fashion. He said that we must rid ourselves of sin. The vast audience today at Rome expressed their great love for Pope Francis. At the beginning of the video, it is beautiful and upbeat to witness His Holiness in the Popemobile blessing and greeting the massive amount of pilgrims who expressed tremendous joy to the Vicar of Christ. We are brothers and sisters in Jesus Christ. The video of today's special Saturday General Audience in Rome is incredibly powerful...the Vicar of Jesus Christ, Pope Francis, united with his flock. The message today from Pope Francis was powerful. Confess our sins. Return to God. Seek God's incredible forgiveness in the Holy Sacrament of Confession. Then we will be filled with love and mercy. That is what me must be in regard to Archbishop Lorefice. We must be loving and forgiving to him. We must correct him, of course, but in charity. Let us, and I apply this first to myself, a sinner, recall and confess our mistakes and sins. Then, in kind and respectful fashion, we are able to correct our brother, Archbishop Lorefice, who made a dreadful mistake in regard to the "Bicycle Mass". Let us be peaceful and kind to each our. We are Catholics. We are brothers and sisters in Our Lord Jesus Christ. That applies most certainly to Archbishop Lorefice, even in the face of his unfortunate "Bicycle Mass". I wish Vox, and everybody here, a holy and peaceful weekend. What a vile, evil man. How can a bishop have such a total lack of respect for Our Lord and His house, when that is precisely his job to uphold? When will this nonsense end. Do we have to put up with it for another 25 years? When I was a child, I spoke as a child, I understood as a child, I thought as a child. But, when I became a man, I put away the things of a child. If the "bishop" had been riding a unicycle and made up in clown face paint while juggling--it would have been more in keeping with the goals of the modernist hierarchy. Wow, what a fool. Will someone reconsecrate the church building, now that it was used for a cheap stunt? This photo has not been corroborated by any non traditionalist source. Really? So we Catholics, because Catholics must be "Traditionalists" are just a bunch of nutbars, wackos and such? Do you think the Archdiocese of Palermo's web page might be an independent and non "Traditionalist" source?